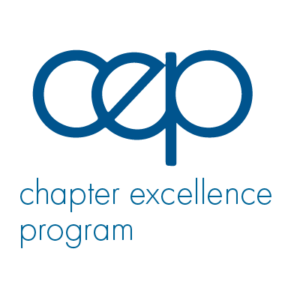 Executive Update: November 2018 | SkillsUSA Illinois, Inc.
SkillsUSA Illinois is excited to offer a student discount for chapters who participate in SkillsUSA’s Chapter Excellence Program. This program recognizes achievement as it relates to the integration of the SkillsUSA Framework in chapter program of work activities. By using the Framework as a guide, chapters have a blueprint for creating relevant activities that encourage participation and foster an understanding of student learning attained during each activity. The Framework’s focus on intentional learning turns the program of work into more than just a planning tool. Using the Framework, the program of work becomes the vital conduit that links students to the application of personal, workplace and technical skills demanded by industry. Chapter’s that complete and submit level one of the Chapter Excellence Program will be awarded with a $5 discount for student registration for this year’s SkillsUSA Illinois State Leadership and Skills Conference. 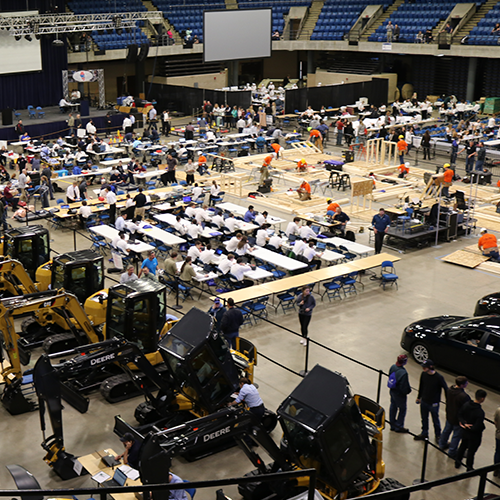 Through a grant provided by Lowe’s, SkillsUSA Illinois has been fortunate enough to be able to welcome two new staff members to focus on continued growth within the state. Leah joins us as a Senior Coordinator in the Office of Education, with a focus on membership training and development around SkillsUSA’s Career Essentials Suite. Leah will be traveling around the state working with schools as they integrate the curriculum into their classrooms. Not new to SkillsUSA, Leah was a state and national competitor as well as served as a local, state, and national officer to the organization. Leah will also be reaching out to all advisors this year to see how SkillsUSA Illinois can better serve our advisors. Courtney joins us as a Senior Coordinator in the Office of Business Partnerships, working to grow awareness around SkillsUSA within the state. Courtney will be developing strategic partnerships to provide new opportunities and resources to our members. New to SkillsUSA, Courtney brings experience of working with business partners in community and non-for-profit based organizations. Thank you to all the schools and advisors that attended the second annual Advisor Development Conference on September 28 at Universal Technical Campus in Lisle, IL. 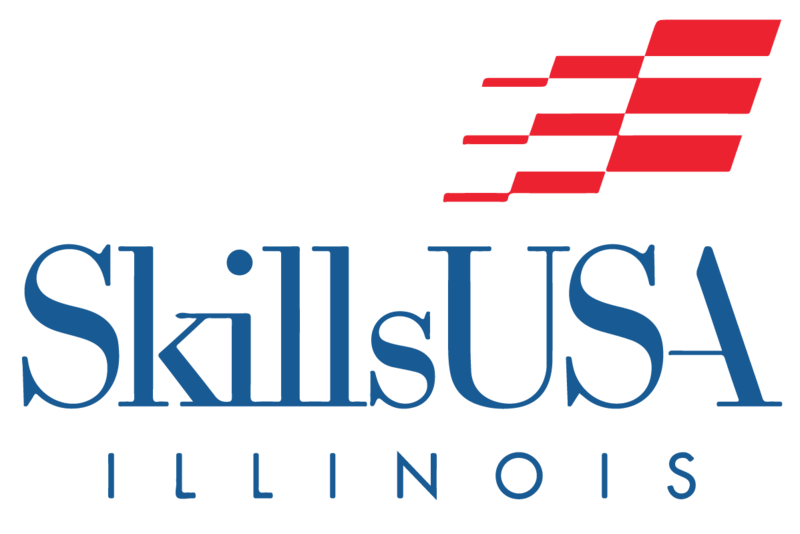 This was an informative and engaging event that allowed SkillsUSA chapters from around the state the opportunity to come together and discuss this year’s SkillsUSA Illinois program offerings as well as hear important updates on all events. The conference opened with a welcome and an overview of L.E.A.D. 2018 being held November 1-3 in Lisle, IL. L.E.A.D. is the ultimate student leadership and chapter development training in our state. L.E.A.D. 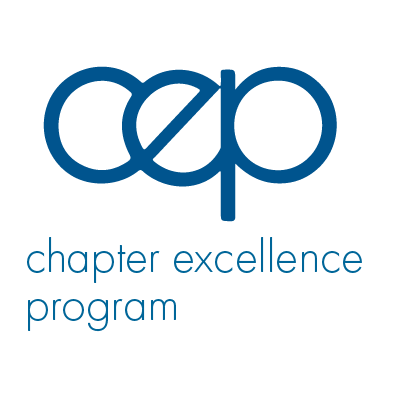 has been updated to highlight the value and benefit of our Chapter Excellence Program (CEP). Again, this year, our friends from Insurance Auto Auctions will join us for simulated interviews with our participants. This career readiness experience not only provides students with an opportunity to interview but also receive feedback and tips on how to better handle themselves in their next interview. L.E.A.D. is a wonderful leadership experience and I hope that all of you consider attending next year. SkillsUSA is a student run, student led organization. Our state is always looking for local officers and student members that are looking to take their leadership to the next level. 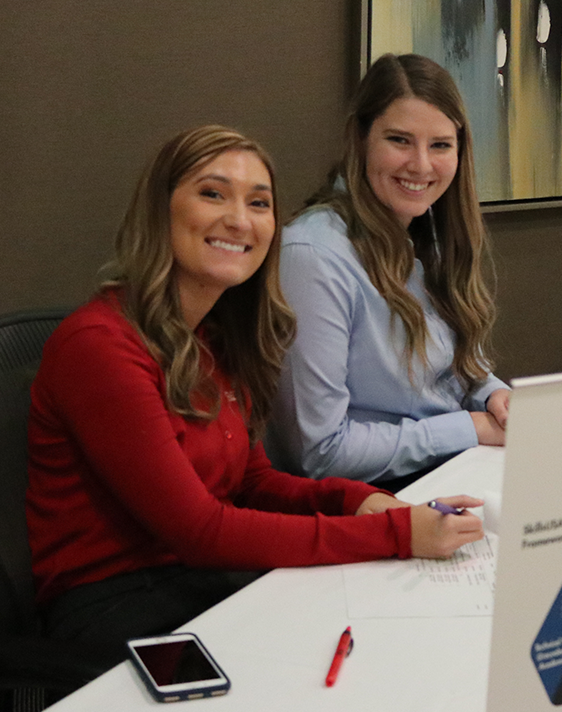 SkillsUSA Illinois’ State Officer Development Program is an opportunity for our members to experience a leadership role in an organization that is in major change and evolution. As a student officer, they will be asked to; meet with business and industry partners to discuss the value of SkillsUSA, go on school visits to promote the organization, and travel to our state and nation capital to advocate for career and technical education. 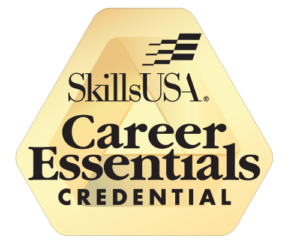 The SkillsUSA Career Essentials Suite of products has been an absolutely incredible opportunity for our chapters to grow and development their members. Through this suite, rooted in the SkillsUSA Framework, SkillsUSA provides the only opportunity for instructors to define, implement, and measure career readiness within their classrooms. 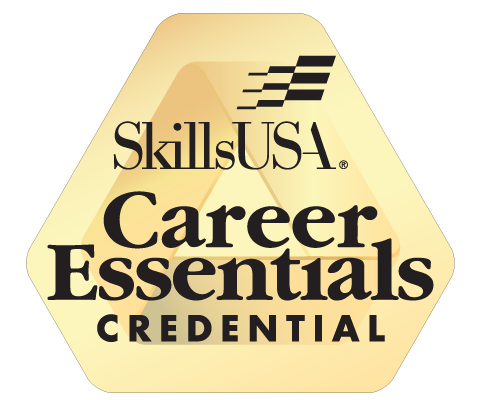 Last year, SkillsUSA Illinois delivered almost 8,000 copies of SkillsUSA Career Essentials: Experiences to our schools. NEW THIS YEAR! 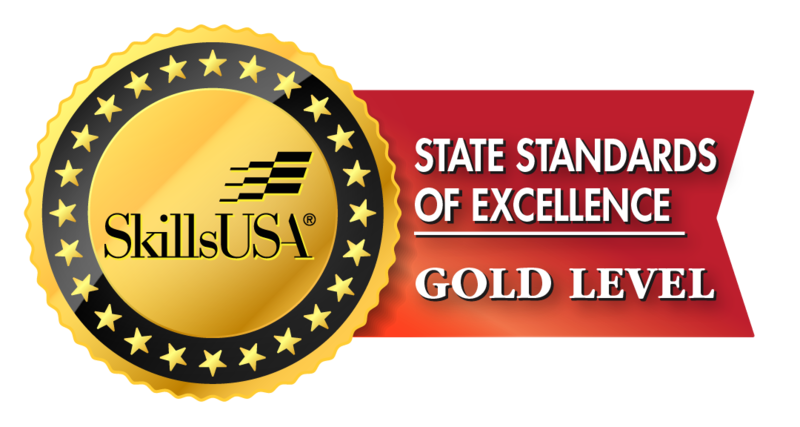 – SkillsUSA Illinois recognizes the benefits that our schools receive when they participate in Chapter Excellence Program. Chapter’s that participate and utilize this outline for chapter success have seen growth and continued excitement around SkillsUSA. SkillsUSA Illinois wants to recognize and support all of our chapters that take the time to complete level 1 of the Chapter Excellence Program. 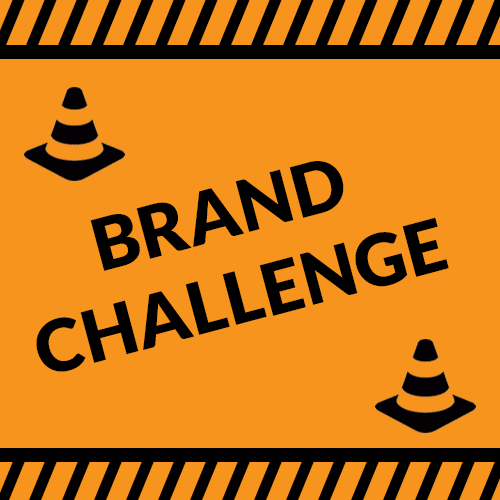 One of the most anticipated and exciting changes this year will be the adoption of State Qualifying Conferences. This topic was covered in depth at ADC. The following was handed out that addressed questions that might be swirling from the created of the regional competition structure. State Qualifying Conference information and assignments will be released by the end of November. We did hope to have this information released prior to ADC, but we have run into a few obstacles that we are overcoming. Once we have the few minor obstacles sorted out, we will release as much information as possible. We understand that the delay is an inconvenience for our schools and are diligently working on releasing the information ASAP. The conference concluded with a few minutes of question and answer. This focused primarily on the regional competition model. Please be sure to review the document linked above. If you were unable to attend the conference, and have questions, please do not hesitate reach out at membership@skillsusaillinois.org.